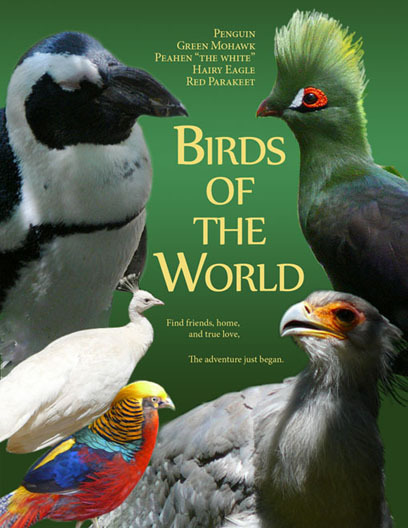 Fake poster for real place “Birds of the World” in South Africa. 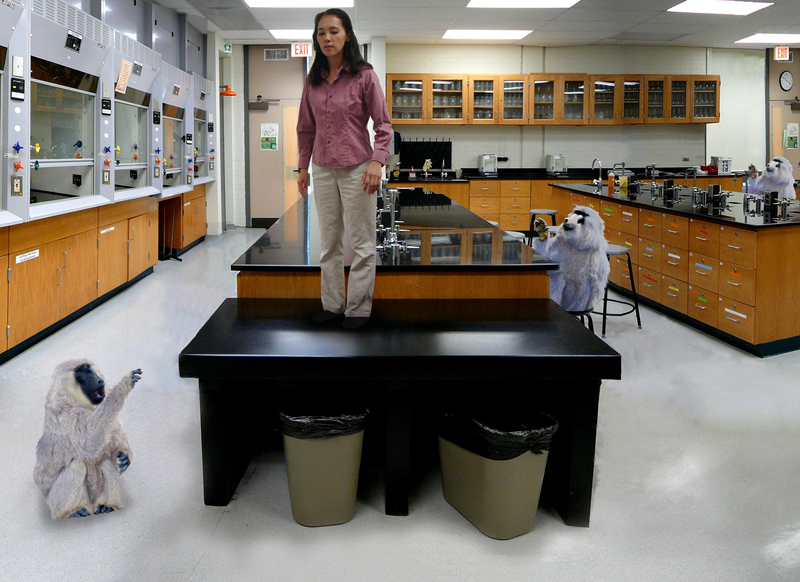 I am playing with white monkeys in the science lab. I have to stay on the table to win.